On the latest episode of The MMQB Podcast, Peter King talks to Ravens head coach John Harbaugh about his relationship with his brother, Jim. 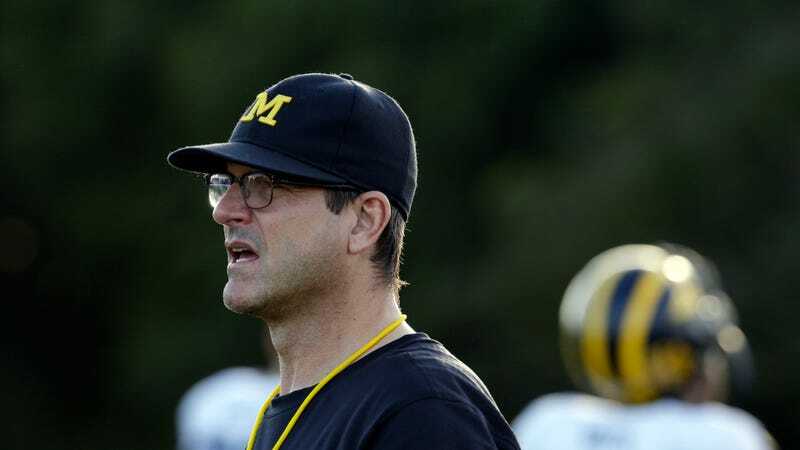 The older Harbaugh shares a story about a pick-up basketball game the two brothers played with their families while on vacation, and it sounds like Jim had an extra glass of milk that day. Here’s a tip for Allison: Next time Jim tries to take you to the hole, stand strong and take the charge.